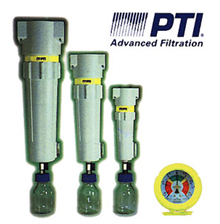 Vacuum VIP filter elements and housings have been developed specifically for medical vacuum applications. Vacuum VIP is ideal for the elimination of bacterial contamination from the suction side of vacuum pumps. Vacumm VIP can be used in hospital, laboratories and other critical medical applications.